The spreadsheets include element design, bending and axial force, punching shear, crack widths, sub-frame analysis, one-way slabs, ribbed slabs, flat slabs, continuous beams, post-tensioned slabs and beams, wide beams, column design, basement wall, retaining wall, stair flight and landings, and foundation pads. 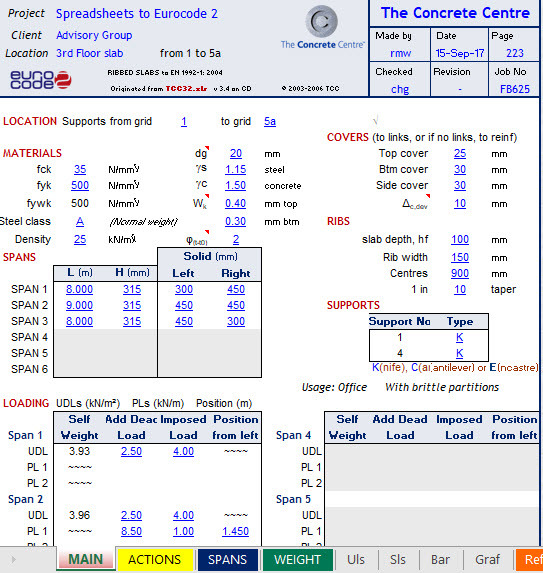 For the experienced engineer, the spreadsheets allow the rapid production of clear and accurate design calculations. For post-graduates and new engineers they encourage understanding of concrete design and help the gaining of experience by studying ‘what if’ scenarios. The individual user is able to answer their own questions by chasing through the cells to understand the logic used. Cells within each spreadsheet can be interrogated and can have their formulae checked and values traced. Various Forms Of Curved Stairs and How to Build it?